Image ©2017 Disney/Marvel Studios. All rights reserved. but never getting rid of the past. 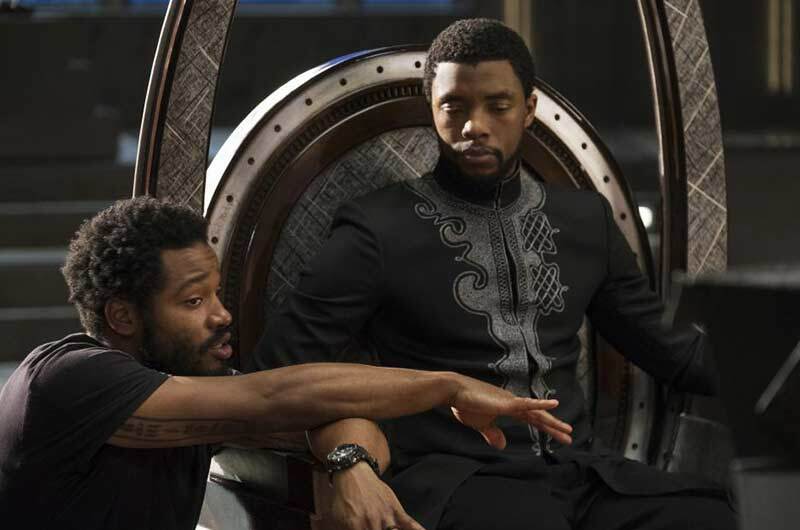 Ryan Coogler, Chadwick Boseman. Image ©2017, Disney/Marvel Studios. All rights reserved. 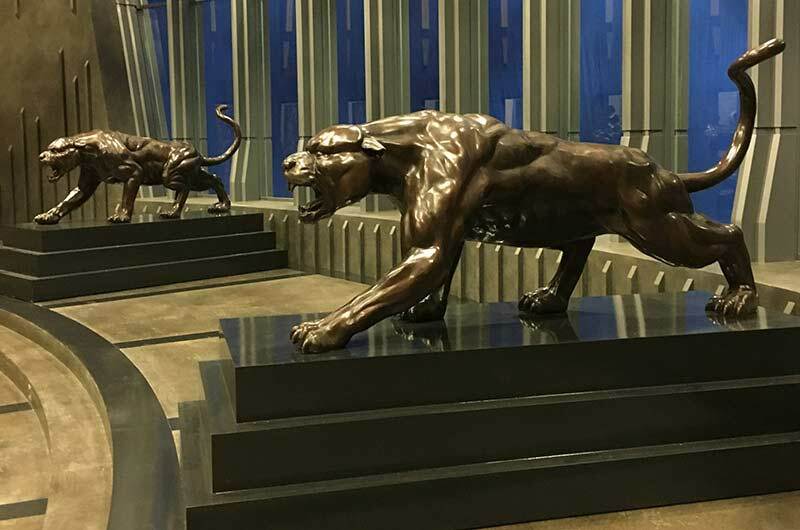 “Here, the bronze panthers guard the burial chamber for Wakandan Kings and all their sacred objects. Michael Jordan. Image ©2017 Disney/Marvel. All rights reserved. Image ©2017 Disney/Marvel. All rights reserved. “Hannah conceived of the hanging log structure but the implementation of it was all Set Dec. We imported skinned logs from Michigan and then designed a rope structure that could wild. “You can see evidence of the hanging log structure here. The finish on the walls behind Panther’s head is a burnt wood process that is used frequently in Japan. Hannah went to great lengths to get just the right color and finish. 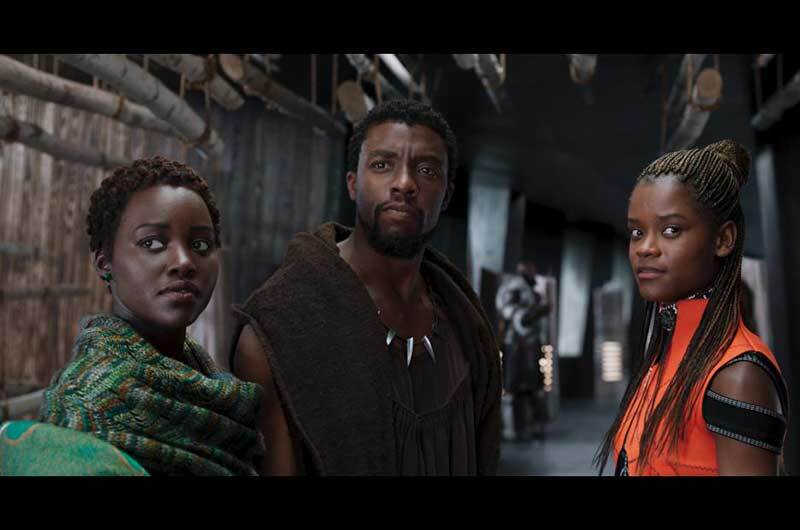 Lupita Nyong’o, Chadwick Boseman, Letitia Wright. Image ©2017 Disney/Marvel. 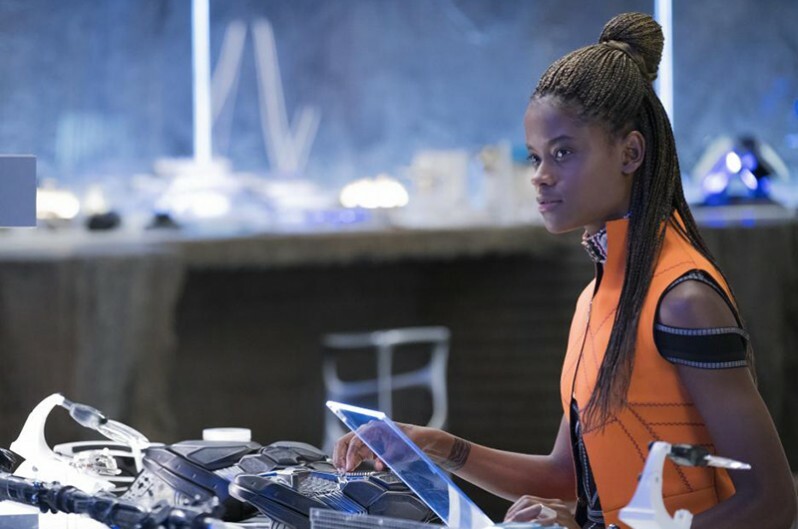 Tech wizard Princess Shuri [Letitia Wright], T’Challa’s [Chadwick Boseman] younger sister, is the top scientist in Wakanda and the innovator behind Black Panther’s updated suits and technology. 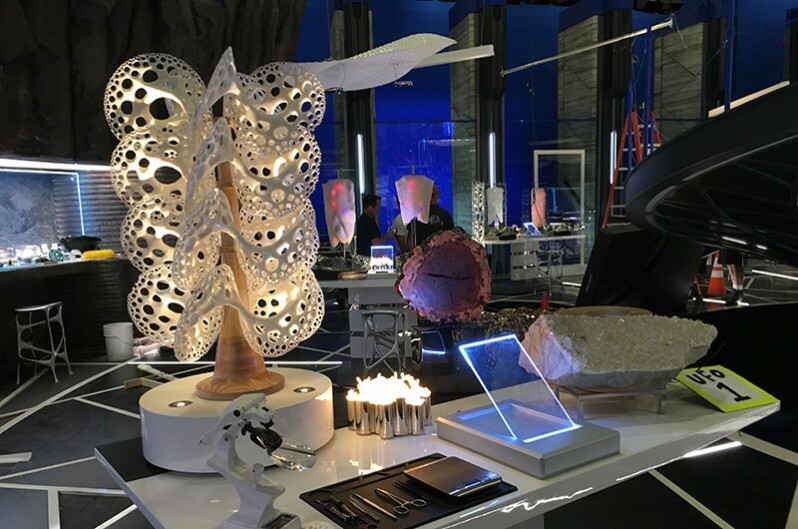 “Shuri's lab was a very labor intensive set for Set Dec. My team designed and built every one of the Wakandan technological experiments. Hats off to Shuri's lab team!!! They rocked it. The graffiti was done by a local Atlanta graffiti artist. 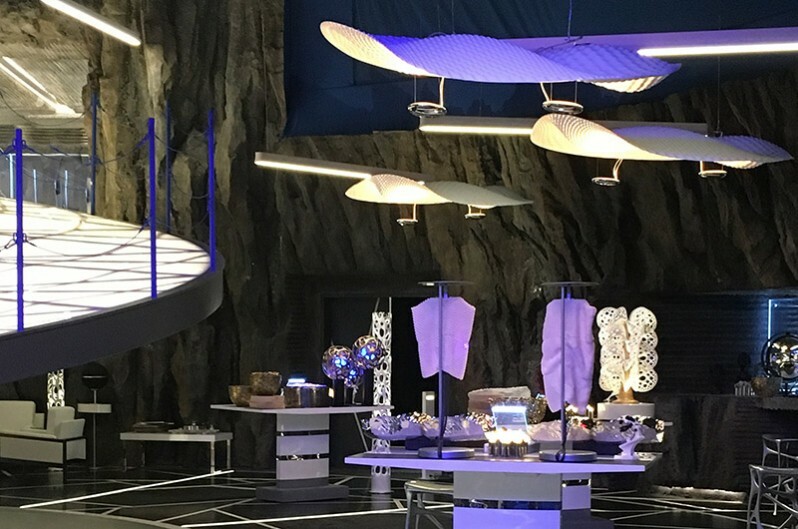 “The worktables in Shuri's lab were designed and built in the Set Dec Shop. Set in progress...note ladder, cones and crew members! 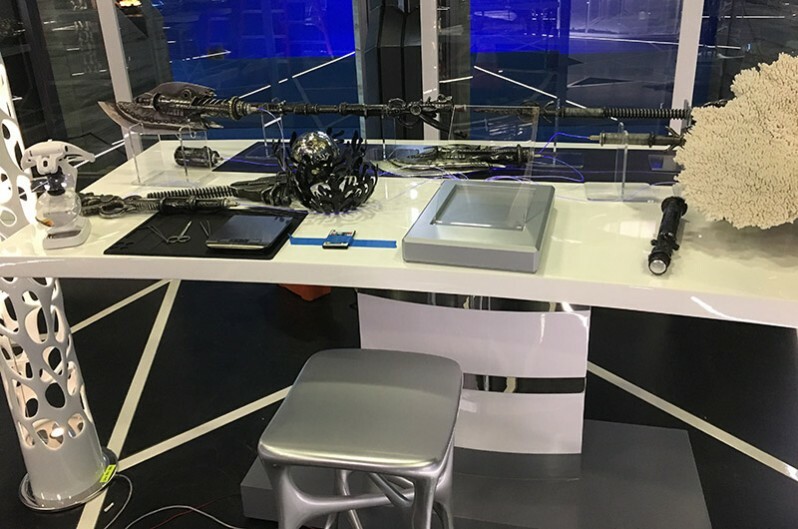 “The actual experiments were the work of the Set Dressers assigned to that set, each Set Dresser was tasked with coming up with an experiment that would be appropriate to Wakanda. 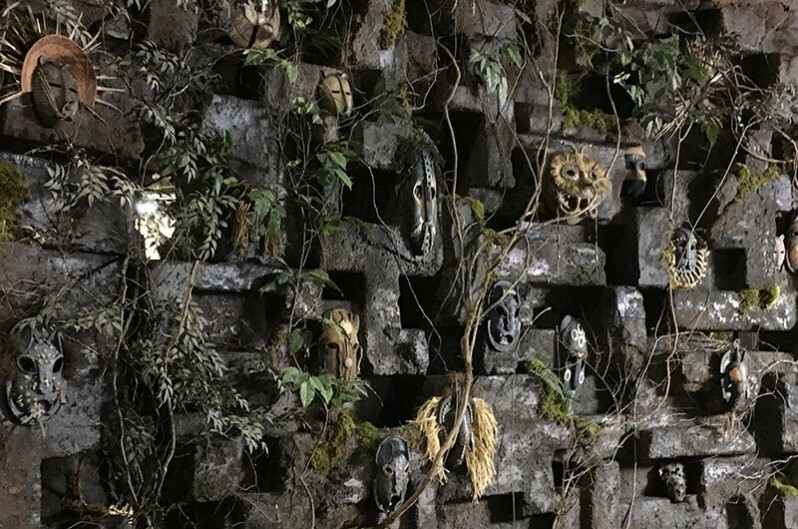 “The burial chamber for past Wakandan Kings...all of their masks and sacred objects are represented here. The Set Dec team created 600 different masks from scratch, a several-weeks-long craft project in the Set Dec warehouse. 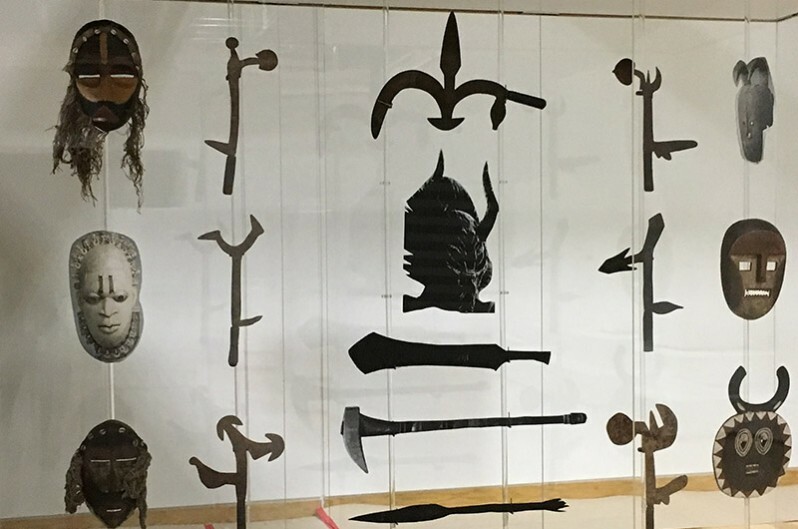 “Collecting all of these artifacts was pretty fascinating. 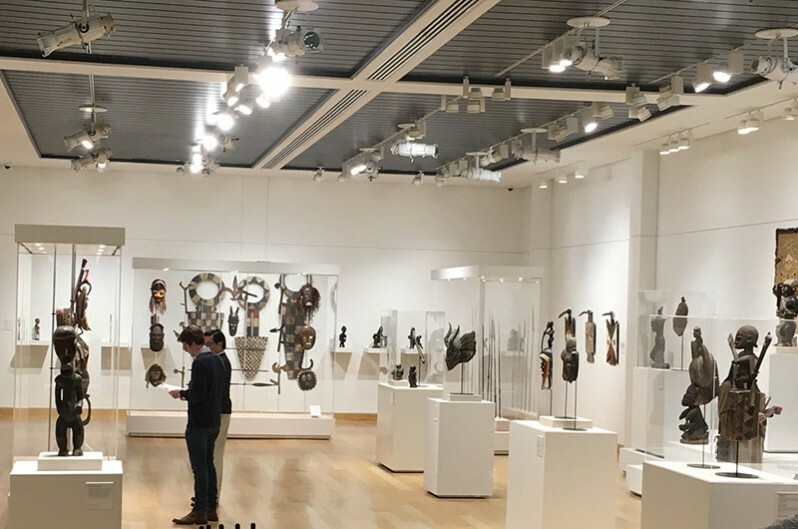 Exploring the different tribes and their art was exciting. It all had to be the real thing as per Ryan Coogler. 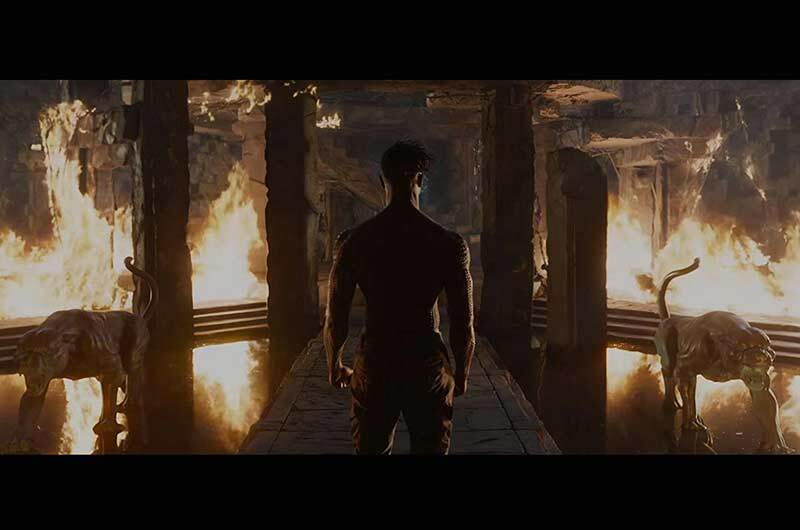 In the film, Killmonger waltzes in and steals a misidentified relic, a Wakandan mask. Pot rack and all cabinetry built by Set Dec Dept. 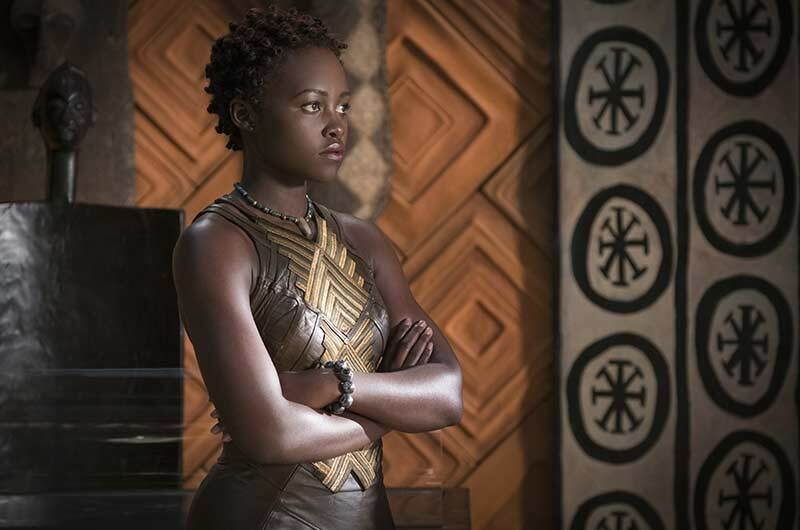 Lupita Nyong’o, Chadwick Boseman, Danai Gurira. Image ©2017 Disney/Marvel. 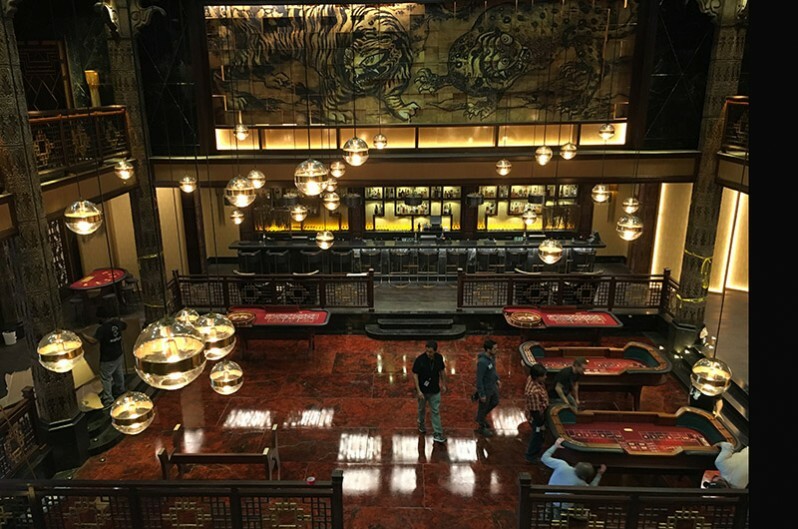 “The South Korean Casino was one of the best sets on the film. For us it was all about how we would light it. 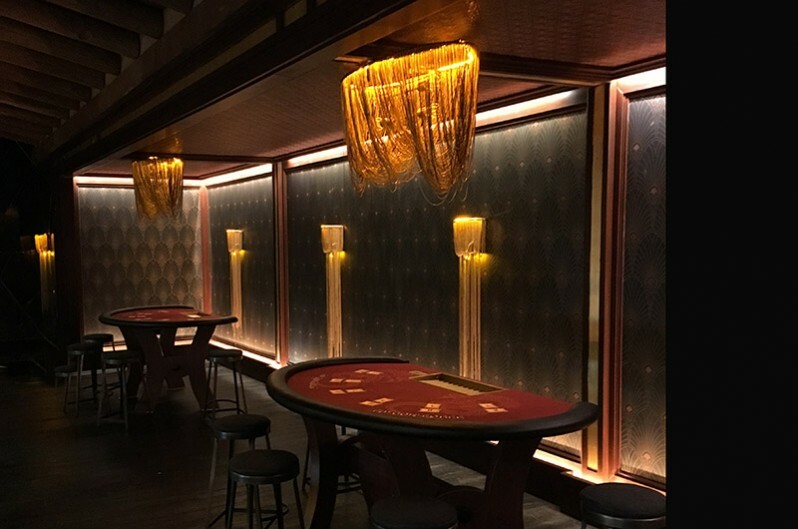 We wanted to emphasize the finishes and not let the perimeter of the set fall off. The hanging glass ball lights that are throughout took an unbelievable amount of work to decide where and how they would be hung, as there were stunt wires everywhere that we couldn't impede. Chadwick Boseman. Image ©2017 Disney/Marvel. 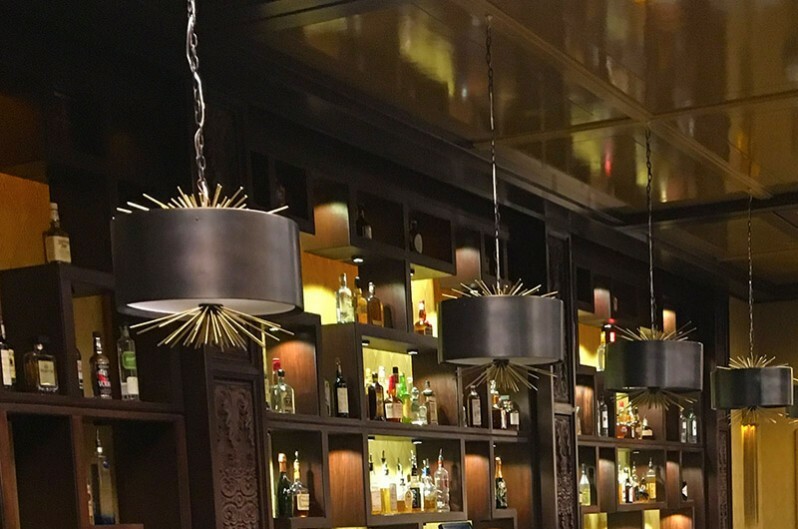 Note the light fixtures in the background, both left and right, the bar stool in foreground...the importance of details! Lupita Nyong’o. Image ©2017 Disney/Marvel. 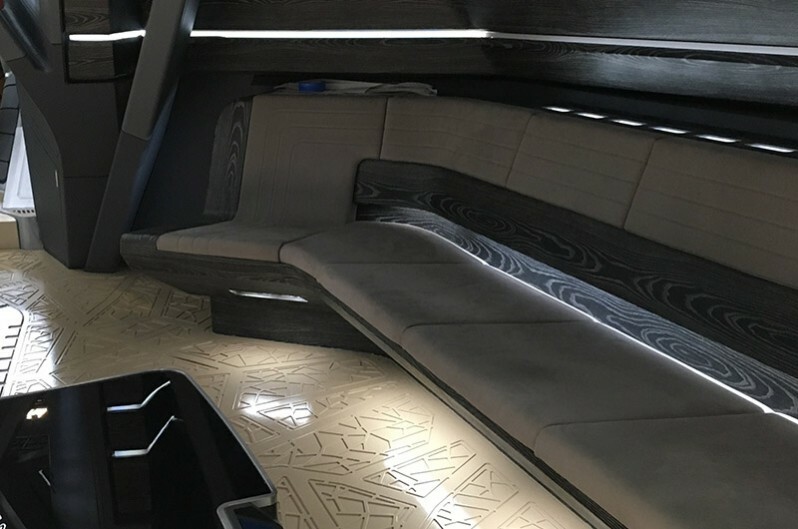 “The attention to detail here was fantastic and the actors and crew were blown away. It was a good night of filming. Chadwick Boseman, Danai Gurira. Image ©2017 Disney/Marvel. Floor designed by PD Hannah Beachler. “Marvel films take you on a ride. 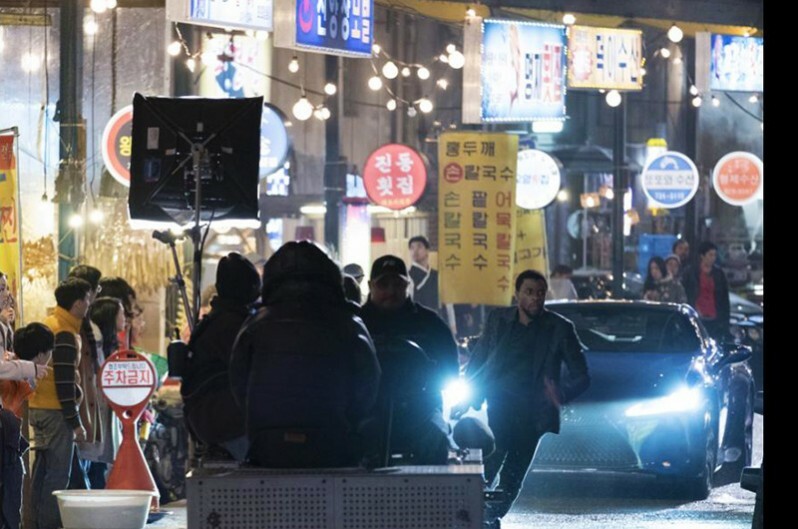 I hope audiences have a great ride, and walk out engaged and inspired as well,” says Director Ryan Coogler. 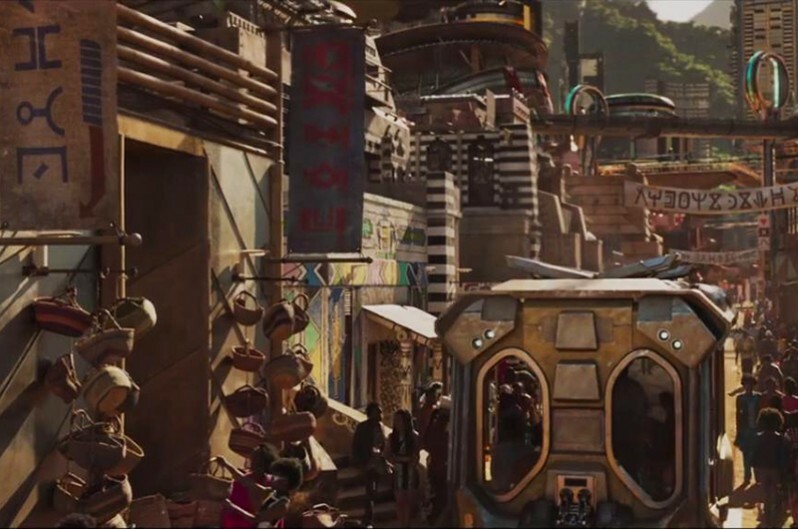 As fantastical as the world of Wakanda is, the entire production team made certain that the spiritual, the mystical and the technological influences in the country’s culture were still anchored in the real world and that the outside world was definitively portrayed. 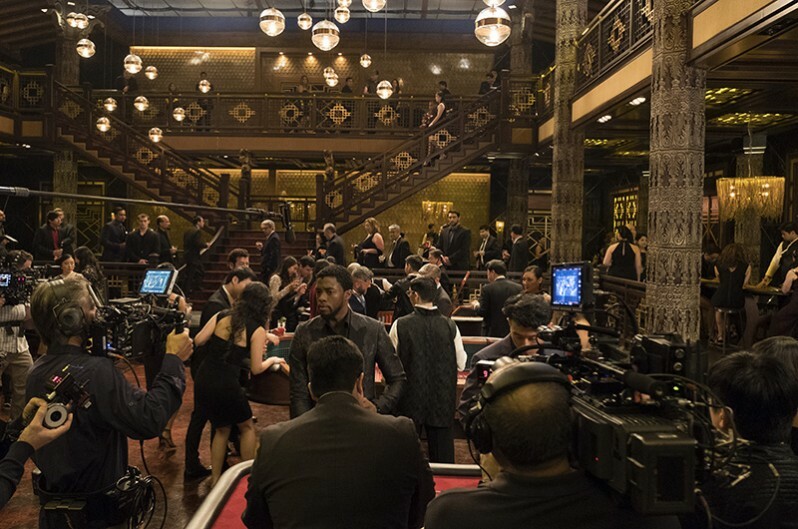 To ensure both fantastical and real, Coogler relied on his longtime collaboration with Production Designer Hannah Beachler, who brought on estimable Set Decorator Jay Hart SDSA. 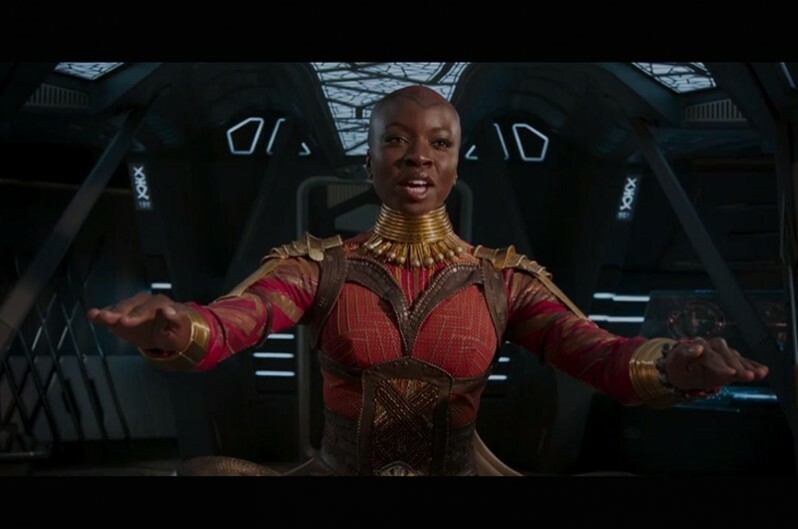 Their teams working in sync with Director of Photography Rachel Morrison ASC, Costume Designer Ruth E. Carter and their crews, along with visual and special effects departments, elevated the Marvel superhero universe and literally millions of moviegoers’ experience. 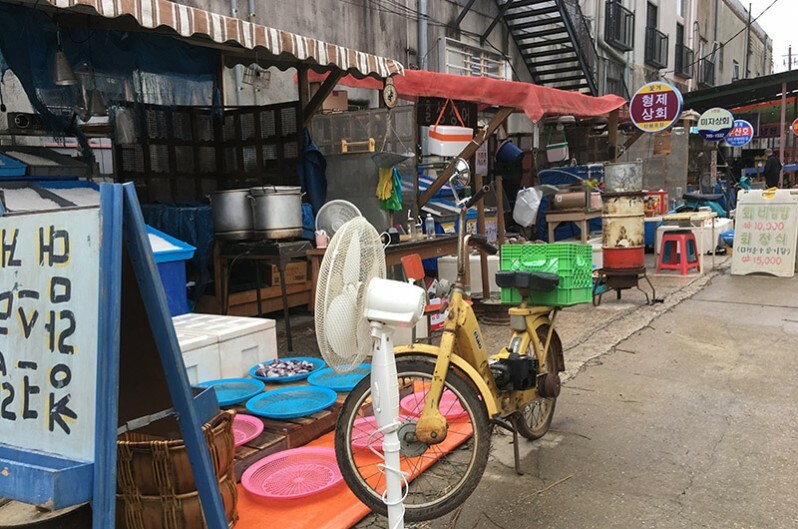 SET DECOR caught up with Hart, as he was working in Bogota and Hawaii on his next feature film, for an insider perspective on this global phenomenon. The challenge with BLACK PANTHER was to be vigilant about introducing a new chapter to the Marvel Universe. I was very focused on how we would present these characters as we were laying the groundwork for films following ours. 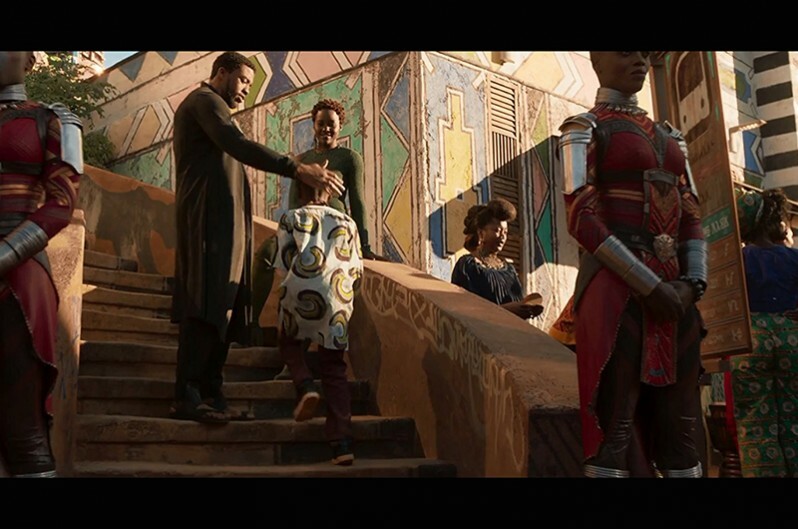 Wakanda as a character in the film was front and center on all of our minds. 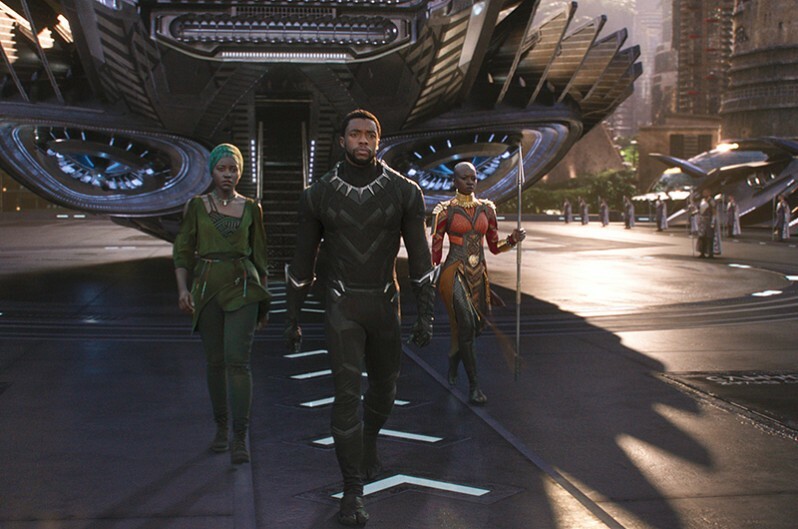 We did a deep dive on the History of Wakanda and what that was and how it evolved over time hidden from, but in tandem with, the rest of the world. PD Hannah Beachler did a printed timeline showing how Wakandan society evolved and surpassed the world. 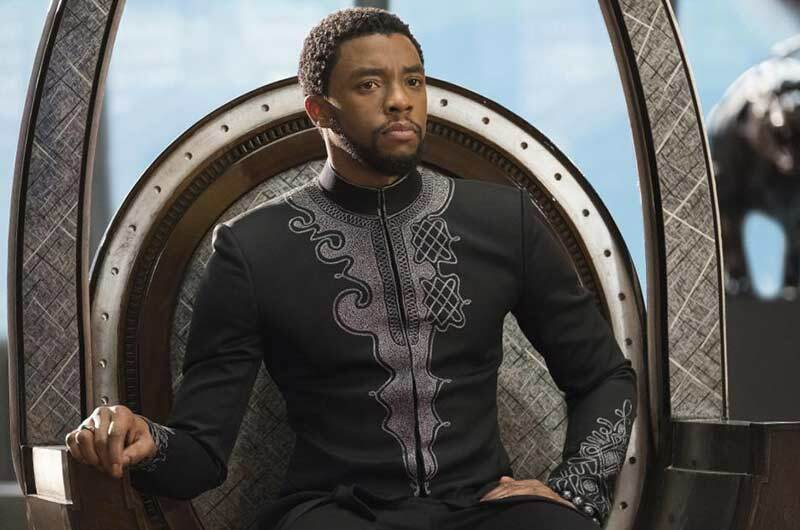 When the Earth’s societies were in the Industrial Revolution, Wakanda had highly technical communications and advanced transit and art and agriculture—all based on the introduction of Vibranium and a people smart enough to know how to develop and use it, a monarchy-based government with a long and regal and proud history. The original comic book gave us some of this, however, we had to fill in the blanks so we would have a full picture of who these characters were and where they came from. The directive from the Director and the PD was that we be absolutely true to African Culture. We researched various African tribes and identified those that we felt had visuals that worked with our perception of the Wakandans. We designed our own fabrics and furniture and lighting and built it all in our own Set Decorating Shop. I was continually grateful and awestruck at the capabilities and creative input I got from my entire team. This was a large film and I had to rely heavily on my team, John Naehrlich, Brock Helfer, Mick Cummings, Kevin Kropp, J.R. Vasquez, Ely Veigh, Nicole Eldridge, Kenji Kondo, Dan Foster, Mark Hudson, Eric West, April Labranche, Jack Cornelius and many more... too many to mention. 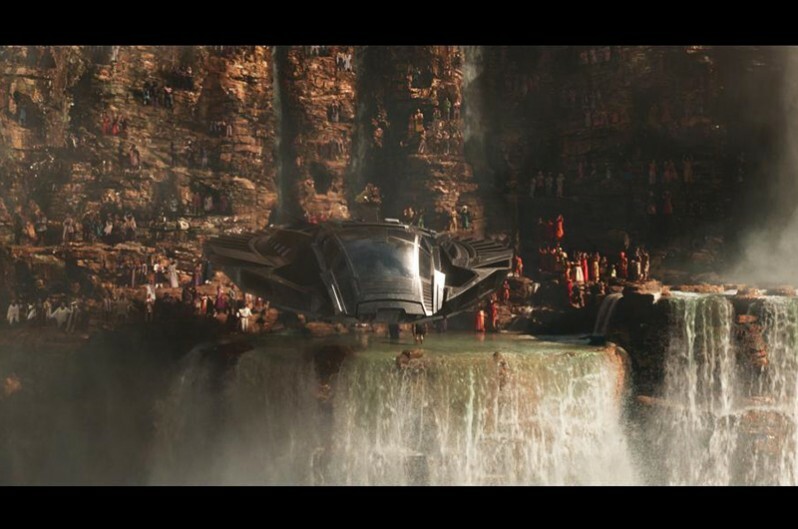 The creation of Wakanda was exciting and scary at the same time. 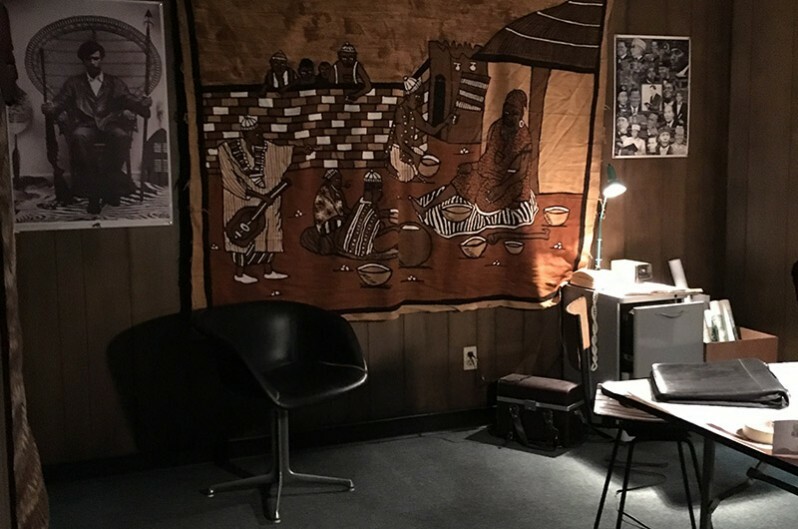 I felt a lot of responsibility to get it right, especially as all the fans of the comic book would be picking through it with a fine-tooth comb, When I was in doubt, my default design decision was to rely on African History and draw from that. The Wakandan alphabet took some time to develop. Hannah actually used a hybrid of 3 different scripts to develop the Wakandan idiom. The set dec obligation was to use it in the appropriate places. As simple as labels on the Talon Flyer cargo to the Royal Seal in the royal apartments (cut from the film). It almost took on a kind of modern art vibe. Its use in the credits was really wonderful. Hannah spent some time as a set decorator so she brought an innate understanding of what we do. This was very refreshing and when she realized that we had the ability to design and build/fabricate, we became joined at the hip. She definitely wanted a sophisticated non-cartoonish style. 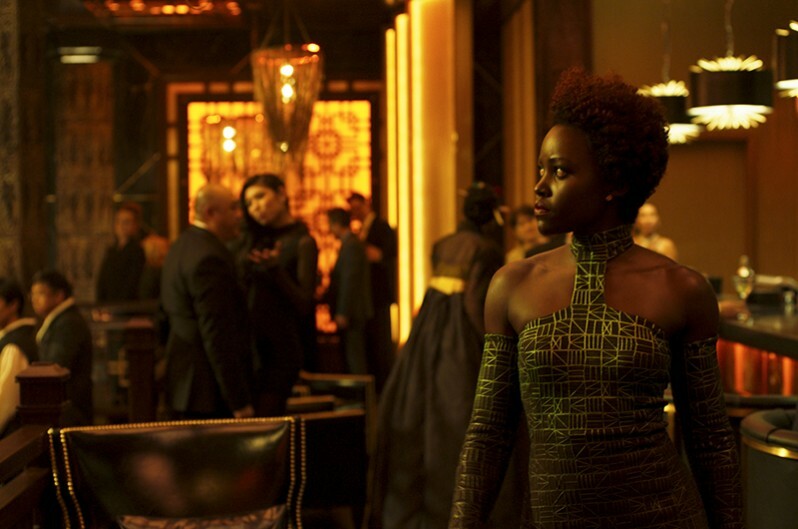 She and Ryan wanted to represent Wakanda as an old and proud, intelligent and sophisticated place. 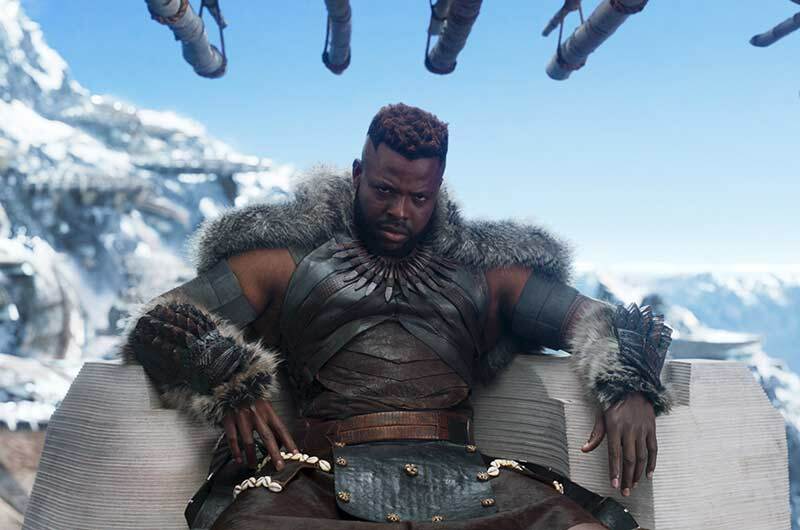 We spent a lot of time talking about what made Wakanda different. 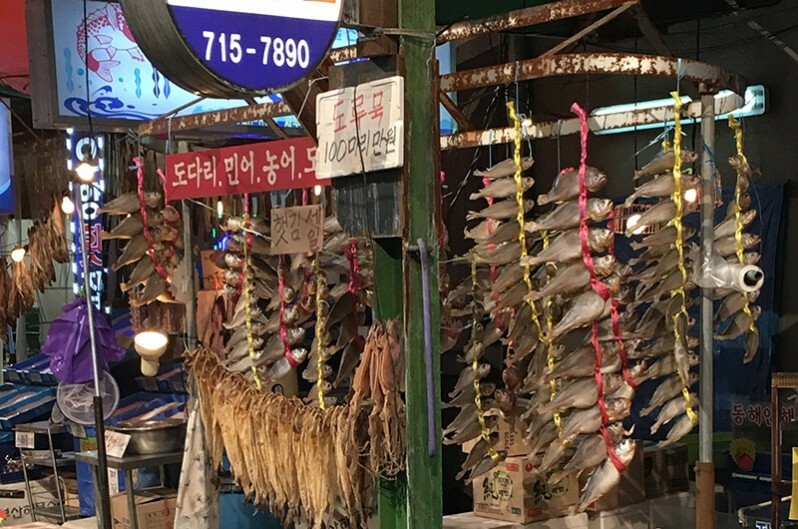 The fact that it had avoided colonization was a story point that we tried to drive home. 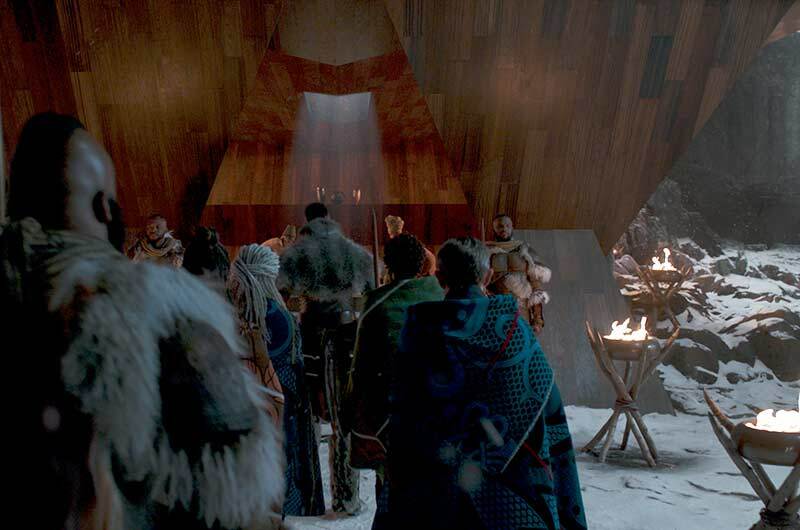 We wanted to imprint a personality on the Wakandan civilization. This was most evident in Step Town, the “old city” area where the hip Wakandan went to dine and hang. That was a really fun set for all because we could flex a little creative muscle. Hannah’s use of graffiti was extraordinary. Ryan Coogler is at the end of the day a storyteller. 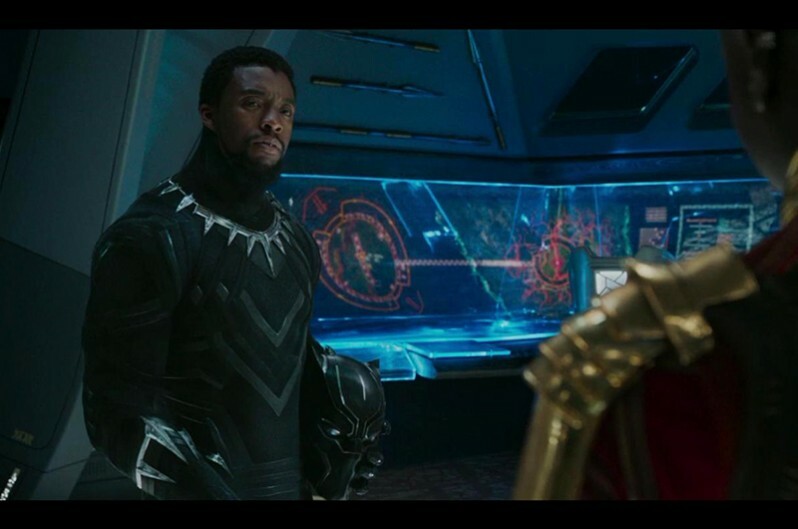 He was laser-focused on how we all were presenting the characters and unveiling Wakanda. Having written part of the script, he had a really good grasp on what made the characters tick. He would from time to time come to us with specific requests. 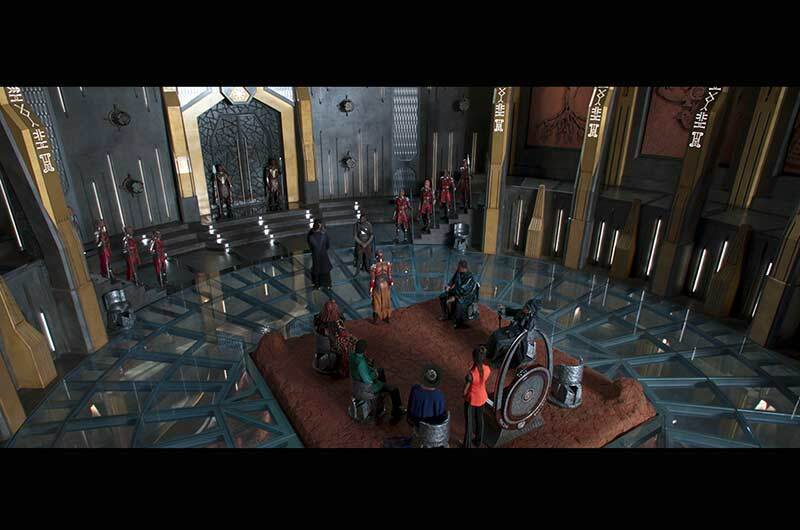 T’Challa’s throne in the Tribal Council Royal Throne Room was a last minute addition. Ryan kept clinging to the idea that Panther would not have a throne, that he would be the same level as the other tribal council leaders. 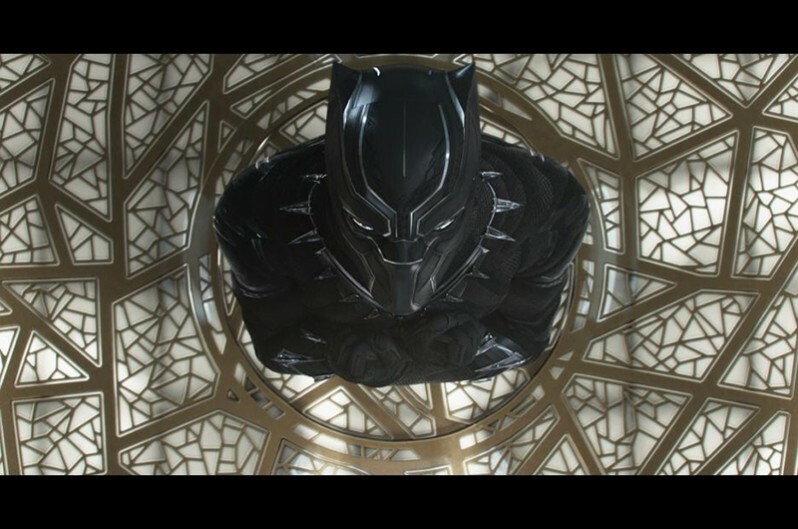 However, two weeks prior to shooting the throne room, he decided that Panther should have a throne. So I did a napkin drawing, walked it into the Set Dec shop and a week later we had Panther’s throne...and it ended up being key in the one-sheet and the trailers. Ryan and Hannah having worked together so much really relied on each other during PANTHER. They had meetings and conversations every day. 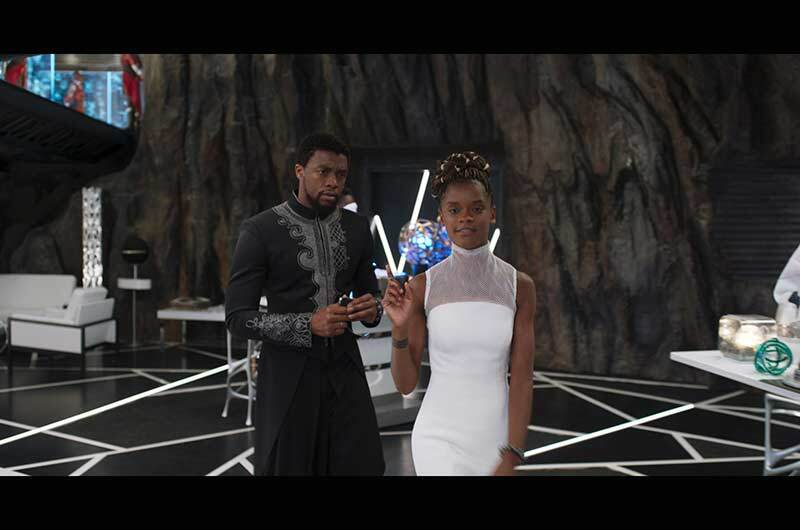 He sought out her opinions and leaned heavily on her vision of Wakanda and the characters. Most of the creative vision for the film was filtered thru Hannah. 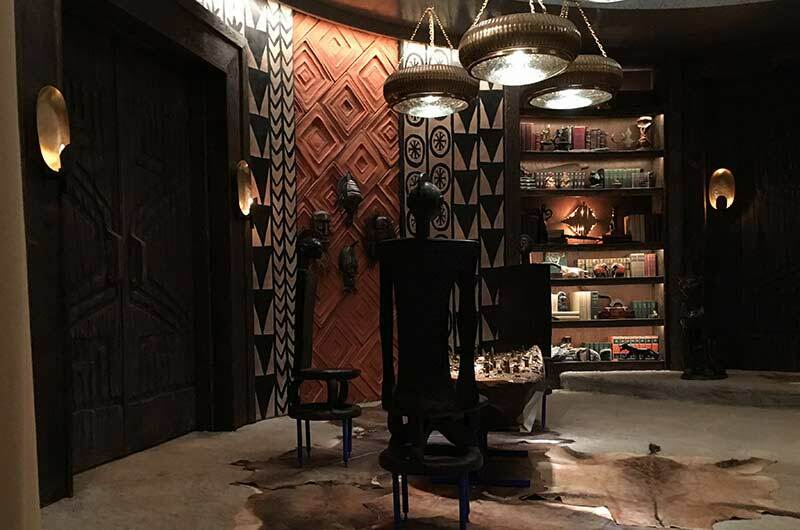 Ryan, Hannah, and I would have meetings where we discussed the set dressing and its backstory and what each of the sets was saying about Wakanda. He often would ask for something specific. But at the end of the day it was that synchronization of Ryan’s/Hannah’s vision that we keyed off of. Ryan, apart from being a super storyteller and creative, was also a really kind human being, and working with him was great. Ruth’s designs were truly breathtaking. 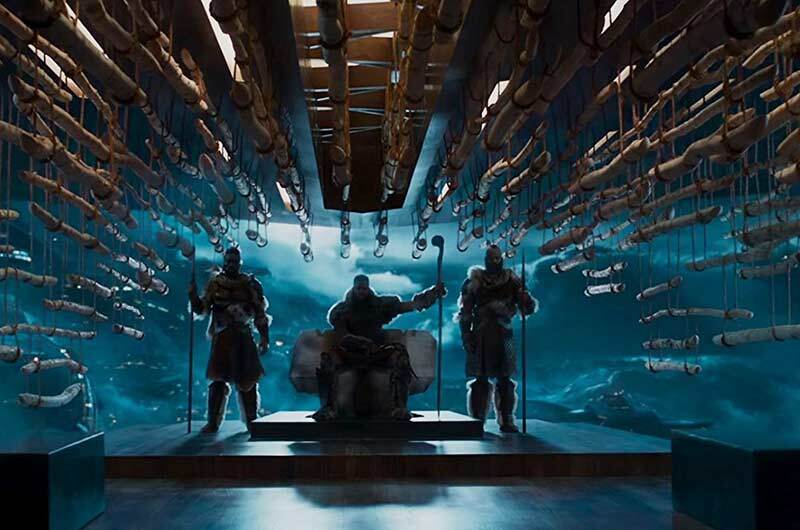 We worked in collaboration on color, but the palettes were part of the overall production design of the film. 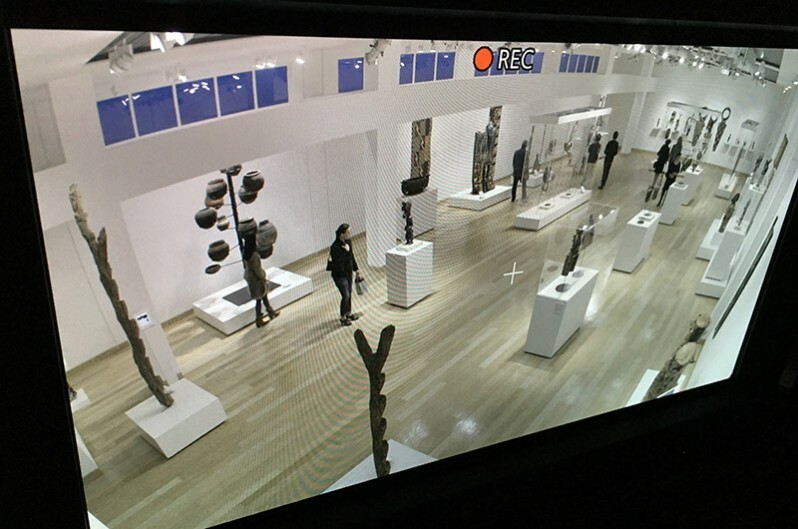 We definitely used the palettes in our work and how we chose color and finishes for the sets and ships, etc. We also went to great lengths to create sigils and identifiable seals and symbols generic to each tribe. We collaborated quite a bit with Rachel. 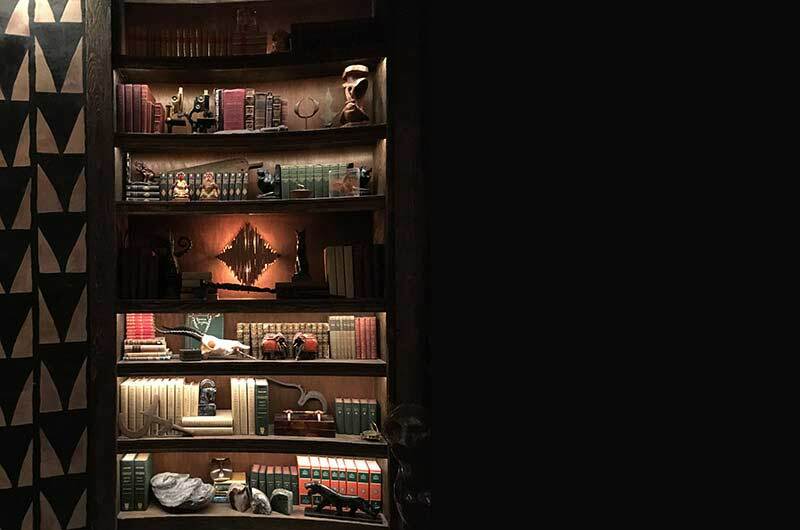 We were very, very involved with how the sets were lit, as much of it was practical light fixtures. She had a color arc that she wanted to use for the film employing color temperatures to convey different moods in different environments. Phil Abeyta, the fixtures foreman was just a rock star. He made everything work and we threw a lot of stuff at him. Which exactly describes my whole team and gives a window into how dedicated and creative everyone on this film was.